Teach in Thailand - Teacher needed for an expanding international school in Thailand - competitive salary + benefits! Contact/apply to Win NOW ==> win@SeekTeachers.com for more details! Teach in Thailand - Teacher needed for a growing international school in Bangkok - competitive salary + benefits! Contact/apply to Win NOW ==> win@SeekTeachers.com for more details! Teach in Thailand - Teacher needed for an expanding school in Thailand - competitive salary + benefits! Contact/apply to Win NOW ==> win@SeekTeachers.com for more details! Teach in Thailand - Teacher needed for an expanding international school - competitive salary + benefits! Contact/apply to Win NOW ==> win@SeekTeachers.com for more details! Teach in Thailand - Teacher needed for a leading international school in Bangkok - competitive salary + benefits! Contact/apply to Win NOW ==> win@SeekTeachers.com for more details! 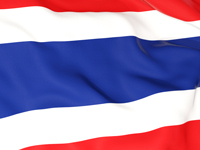 Teach in Thailand - Teacher needed for a growing international school - competitive salary + benefits! Contact/apply to Win NOW ==> win@SeekTeachers.com for more details!